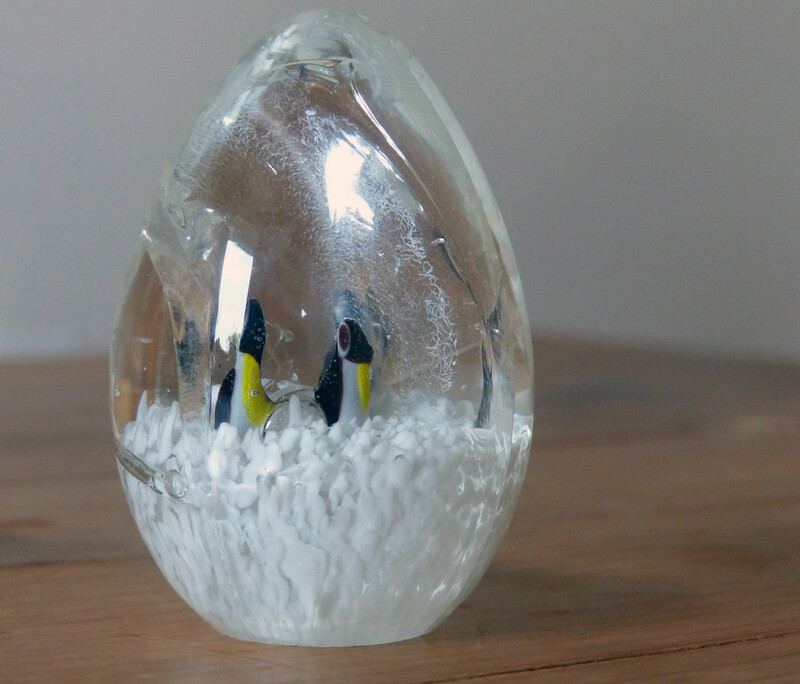 Trapped in an ice egg. What a lovely glass paperweight. My sister used to collect these. @joansmor ...they are very collectable. @peterday Bearing up, thank you. How are you? a snow scene for this warm weather. That's cute- a nice addition to any penguin collection.